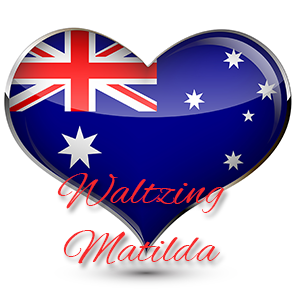 There are three versions of Waltzing Matilda. The original was written by Banjo Patterson in 1895, Harry Nathan wrote another version around the turn of the century, and Marie Cowan wrote a further version in 1903. Marie Cowan’s version is the most popular version of this tune, but I have included the words of all 3 versions for your interest. God Bless Australia in a bid for a new National Anthem during 1961? Who’s is the jumbuck you’ve got in the tuckerbag? Who’ll come a-waltzing Matilda with me. Whose is the jumbuck you’ve got in the tuckerbag? Whose that jumbuck you’ve got in the tuckerbag?